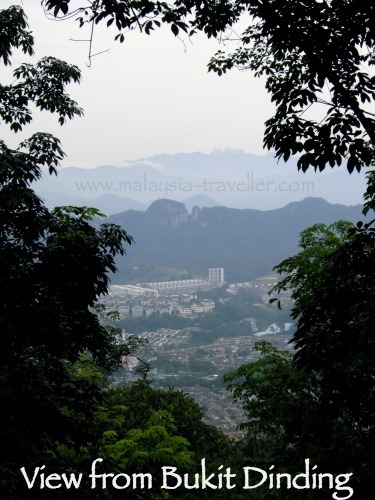 From Bukit Dinding you can see Klang Gates (Bukit Tabur) with Genting Highlands behind. 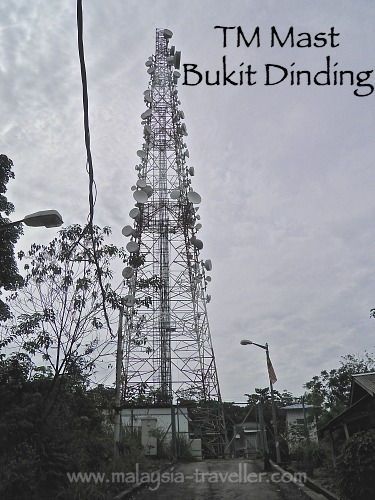 Bukit Dinding stands at 291m, just under 1000 feet, and is one of the highest hills, if not the highest, within the city limits of the Federal Territory of Kuala Lumpur, although of course it is still a baby hill by Malaysian standards. The hill is located in the north east of the city in the area of Taman Setiawangsa, not far from Klang Gates Quartz Ridge and Zoo Negara. 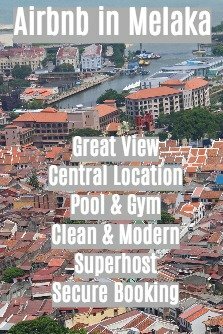 It is quite easy to find with the help of the excellent directions provided on EveryTrail’s website. Click here. 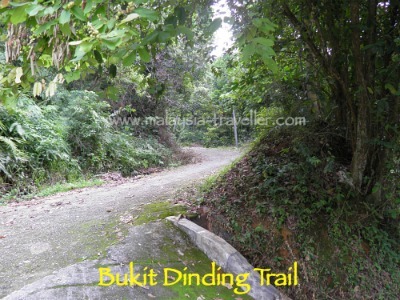 Since it is easily accessible for KL residents it is a popular hiking and cycling spot for exercise lovers. A concrete and tarmac road reaches all the way to the summit where two Telecom Negara facilities are located. I used this road for my hike which was closed off to vehicles except on official TM business. The road was very steep in places so I felt it on my calves and shins but for most of the way it was a steady climb. The hill once formed part of a rubber plantation. 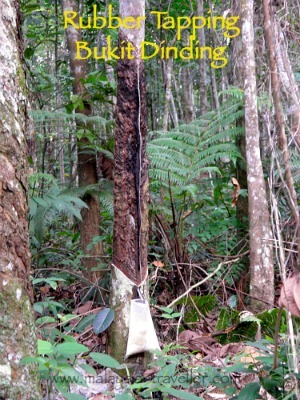 Rubber trees are abundant and appear still to be tapped. Modern day tappers prefer plastic bags to collect the latex rather than the old cups. The trouble with rubber estates from the hiker’s point of view is that the plastic bags collect rainfall which become mosquito breeding grounds if they are not emptied regularly. There were a lot of mosquitos on my hike and I kept up a brisk pace to avoid them landing on me and I was glad to be wearing long trousers and long sleeves. Because of the fast pace I completed the up and down hike in just over an hour. I stayed on the road and came back down the same way as I went up. There were some trails leading off from the road but they seemed very overgrown so I avoided them. Like most hills in Malaysia, the views were obscured by trees but there were one or two breaks in the forest which enabled good views towards Klang Gates (Bukit Tabur) and beyond as far as Genting Highlands. 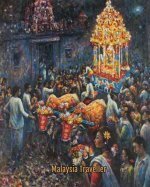 Being close to two busy highways, DUKE and Lingkaran Tengah 2, the air was not particularly fresh and I could smell traffic fumes. At the top of Dinding was a communications mast and another telecoms tower, both of which were restricted areas. There was a coconut stall at the foot of the trail where hikers could enjoy a refreshing drink. A straightforward up and down hike on a concrete and tarmac road. Great views in a few places. Since the location is not that convenient for me I doubt I will return there. 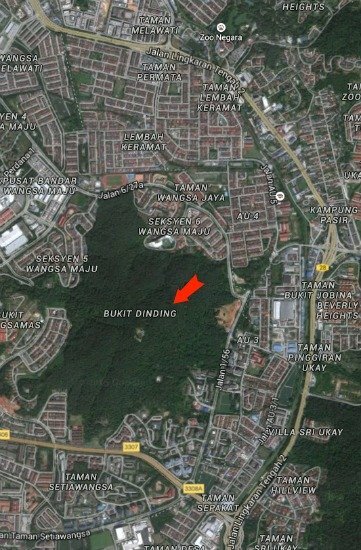 I prefer Bukit Puchong or Bukit Putih for suburban hikes.